Glam Morena: DDF 400X Revolve Micro-Polishing System. DDF 400X Revolve Micro-Polishing System. I recently received the DDF 400X Revolve Micro-Polishing System. It's basically a "microdermabrasion at home" system. This product is currently on sale for $45 until January 31, 2013! This is such a great offer because it normally retails for $98. Be sure to watch the video for a quick summary of the DDF 400X Revolve! 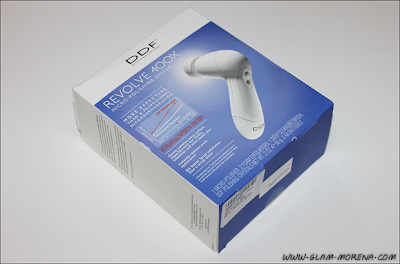 Description: DDF 400X Revolve Micro-Polishing System is a breakthrough device that delivers microdermabrasion results that are as effective as a professional treatment. Unlike most at-home devices that simply vibrate or oscillate, DDF Revolve 400X transmits more energy to the skin with up to 400 rotations per minute. The gentle, yet highly effective self-warming DDF Polishing Crystals and the soft Foam Exfoliator polish away surface imperfections to reveal radiant, healthy-looking skin. The kit also includes a brush head to use with the device for daily deep cleansing and to help maintain results between treatments. 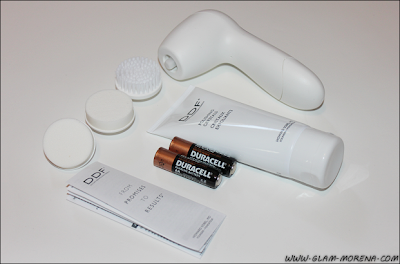 Includes: 1 Micro-Polisher, 2 Foam Microdermabrasion Exfoliators, 1 Deep Cleansing Brush, DDF Polishing Crystals - 2 oz. (56 g), 2 AA Batteries. Deal #1: Get the DDF 400X Revolve for $45 and free shipping! Deal #2: Buy 1 get 2nd product half price and free shipping!